Street presence and HEMI power defined. 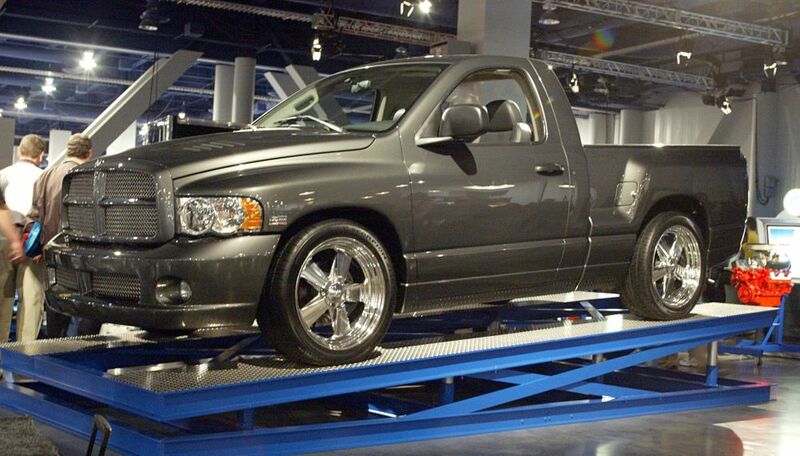 That's the Dodge Ram High Output 1500 Sportside. Or put another way: a sporty, low-slung, powerful pickup for the Dodge enthusiast that satisfies muscle car hunger with a V-8 Ram. The Ram High Output 1500 Sportside combines a regular cab with a "stepside-like" bed configuration, designed to highlight the truck's lowered stance and unique 22-inch Budnik wheels and Pirelli Scorpion-Zero 305/40ZR/22 tires. Power is increased to 375 horsepower thanks to the addition of cold air intake and a free-flow dual exhaust system. Interior highlights include aggressive, race-inspired sports seats and an amplifier/subwoofer system that comes complete with satellite radio.